"Suddenly… you have a supernatural power!" An international trailer has arrived online for a new Korean action film titled Psychokinesis, the latest feature from the director of the acclaimed zombie feature Train to Busan. Sang-ho Yeon directs this new dark comedy film about a father who ties to save his daughter after discovering he has superpowers. The cast includes Seung-ryong Ryu as the father, and Eun-kyung Shim as his daughter Roo-mi, along with Yu-mi Jung, Do-yoon Kim, and Yeong-gi Jeong. This is just the first trailer, but it does have some cool footage in it. I quite like the mix of comedy and action, seems like it's going to be very fun to watch. Hopefully it arrives over here sooner than later, as I want to see this already. A father sets out to save his troubled daughter with superpowers that he discovers he possesses. Suk-Hun (Ryoo Seung-Ryong) happens to gain a supernatural power. He tries to save his daughter Roo-Mi (Shim Eun-Kyung) after she gets involved in an unexpected accident. 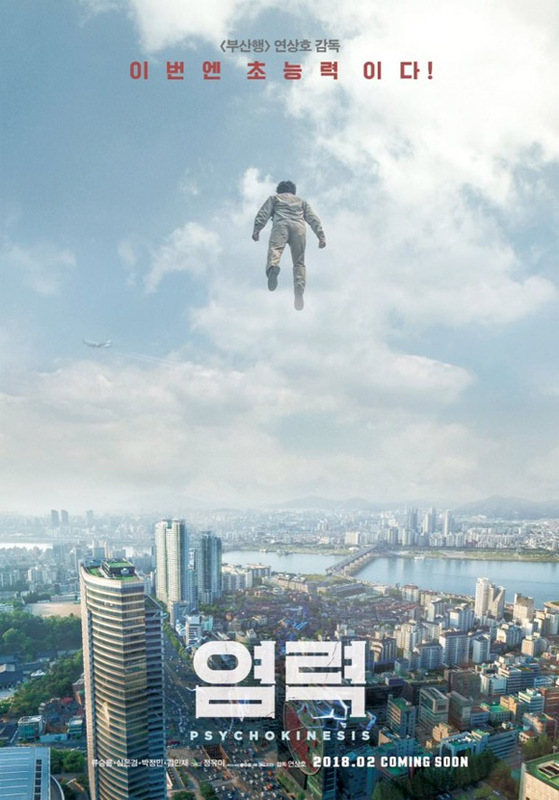 Psychokinesis is both written and directed by Korean filmmaker Sang-ho Yeon, director of the films The King of Pigs, The Fake, Seoul Station, and the popular international breakout Train to Busan. Netflix acquired the film for international release, but has not set a release date yet. The film will first open in Korea next month. Sang-ho Yeon's Psychokinesis is expected to be released by Netflix later in 2018. Stay tuned for more. Your thoughts? How does that look?